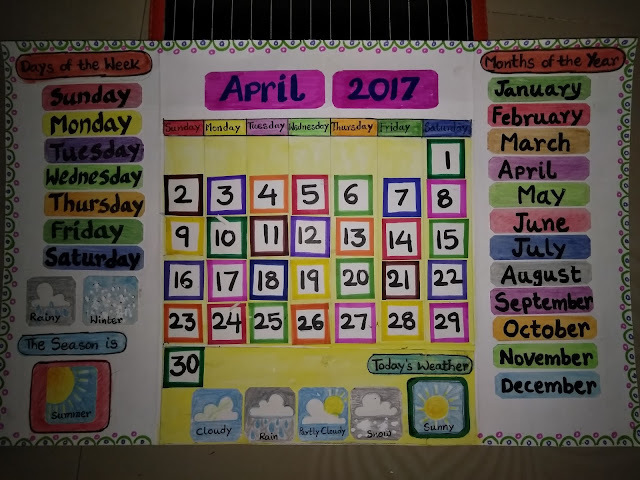 Lesson: Calendar Subject: English Grade: 2nd Language Standards: Speaking, Reading, Writing and Creative Expression. Class: 2nd Grade Lesson: Days of a Week Subject: English Language Skills: Listening, Speaking, Reading and Writing. This is one of my best unit transactions in my teaching. And we know supporting learning material always gives better results in the classroom. Children were involved in different activities during the transaction process. 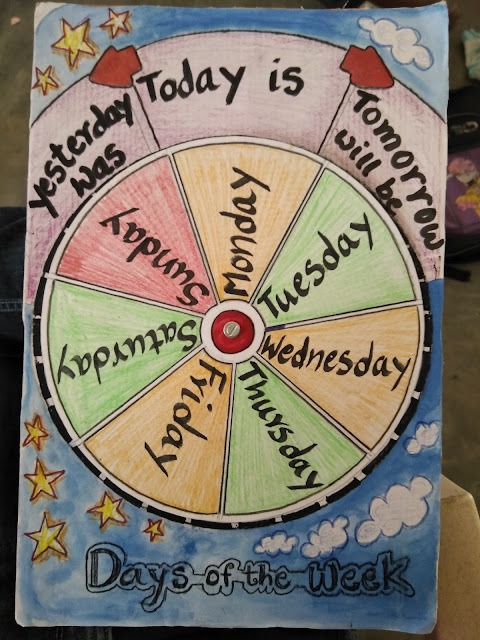 Especially a "WEEK WHEEL" model has supported me to conduct speaking and writing activities. Lesson: JADA (జడ) Subject: Telugu Class: 1st Grade Content: Introducing Basic Telugu Alphabets "JA (జ) and DA (డ)" Language Skills and Objectives: Children are able to identify the letters JA (జ) and DA (డ). Children are able to read the words having these letters. 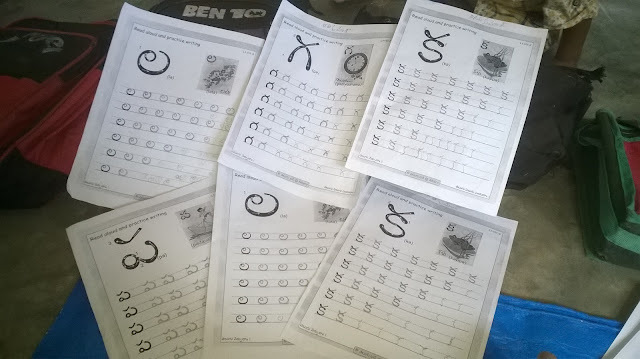 Children are able to practice and trace the letters. Children are able to identify the words in a paragraph. Children are able to write the letters and words. Lesson: ARAKA (అరక) Subject: Telugu Class: 1st Grade Content: Introducing Basic Telugu Alphabets "A (అ), RA (ర) and KA (క)" Language Skills and Objectives: Children are able to identify the letters A (అ), RA (ర) and KA (క). Children are able to read the words having these letters. Children are able to practice and trace the letters. Children are able to identify the words in a paragraph. Children are able to write the letters and words. After I was appointed as a secondary grade teacher in a Govt Primary School, I faced a lot of problems with multi-class teaching and teach to the low proficiency children. Mostly 90% of children in Govt schools are first generation children in the education of their family. So parents follow up and assistance was nil to those children. So in my early teaching days, I had used pictures, charts and models to teach the concepts and language items prepared by cardboards, charts and other materials. I noticed some progress in my children's learning but not up to the expected level. And the learning standards of B and C grade children were not improved.